Point Lobos, Calif., Big Sur coastline south of Monterrey. March 2007. 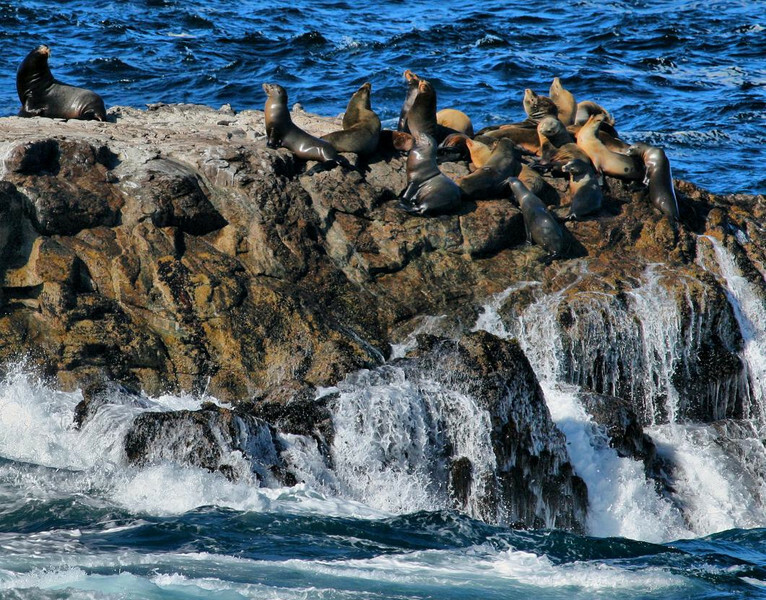 The large Seal to the left was posturing as the Alpha male in this seal colony. Rough wave action here is not uncommon in early Spring. Early spring (March) also brings huge groups of Brandt's Cormorants nesting nearby in colorful and fascinating scenes that are located close to observation trails, creating a photographer's paradise.